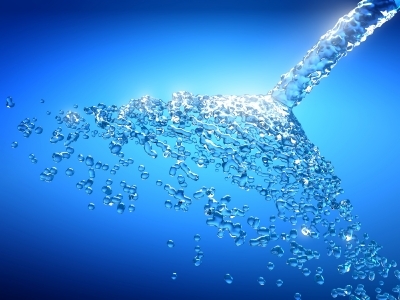 Aquifers: Do I need a License to extract water? You can Extract up to 20 cubic meters per day without a License from any Aquifer. Yes that's right 20 cube! (20,000 litres) Only commercial operators extract more than this per day. What is the water like straight from the Aquifer? 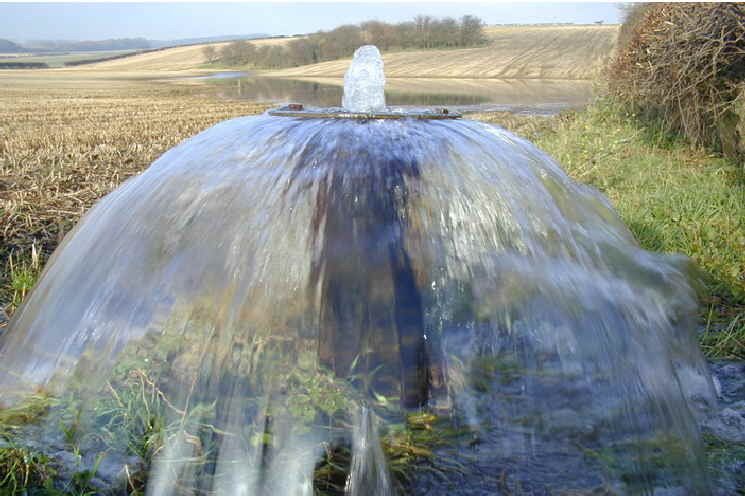 Any where in the country water soaks through the ground to collect in Aquifers. This down-ward travel filters the water to a very high standard. Bore Hole Water... drill into this resource for extraction. Because of the filtering effects of the ground....this water can be consumed immediately without any chemical additives. Three reasons. All life needs... light, oxygen and warmth. Under ground there's no light, very little oxygen and the temperature is around 6 degrees. Water enters the surface of the ground and then starts a very long slow Journey through to the Aquifer. This can take centuries to reach the lower depths. We Bore a Hole into the top of the resource and then drill lower into the central areas. We drill from forty to one hundred and forty five metres. How much water can be extracted from a Bore Hole? 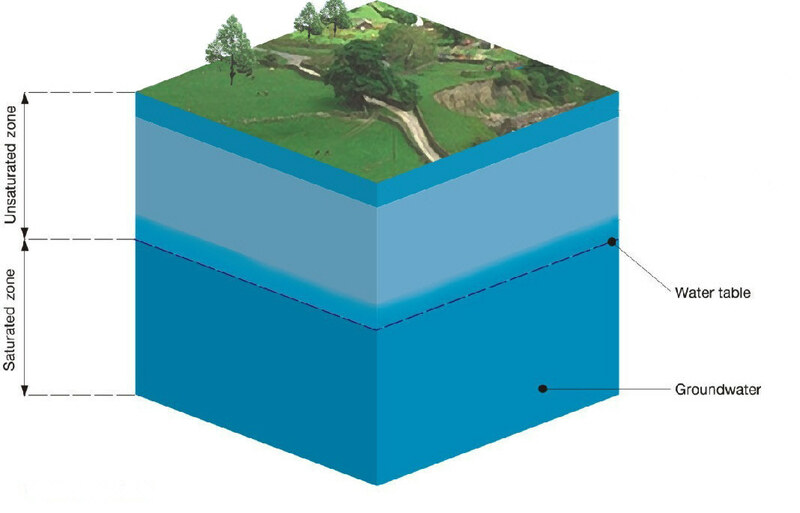 The performance of the Bore Hole relies on how many fractured horizons are struck within the formation. These are tiny fractures that have formed in the ground which allow the water to flow. The number of these fractures control the amount of water that floods into the bore. Some produce 5 cube a day others 1000 cubic meters daily. Why should we drink borehole water? Human beings have been on the earth for around 200,000 years. We have developed and succeeded by consuming natural water. Modern tap water has chlorine added to bring up the quality of the water. Why does science believe that it knows better than nature!!! Borehole water is the safest product to consume. Tap water additives: Chlorine, Fluorosilicate acid, aluminium sulphate, Calcium Hydroxide, Sodium silicofluoride. What is meant by "depression" or "cone"? As you pump water up from the Bore Hole the level starts to fall. A depression appears in the top surface around the saturated layer. As the volume of extraction increases so does the cone become larger. If a Bore hole pump was installed just into the top of the saturated layer the cone may well enter the Bore Hole and leave the pump without water. A Borehole will give you cold, pure water for ever. No chlorines or fluoride. Once you have tried Water from a Bore Hole...tap water tastes like it has come from a "Swimming Pool". The cost of installing a bore hole depends on many factors. Depth, material to be drilled, access, pipe work runs, trenching etc. Cost can be recovered on average after four years.